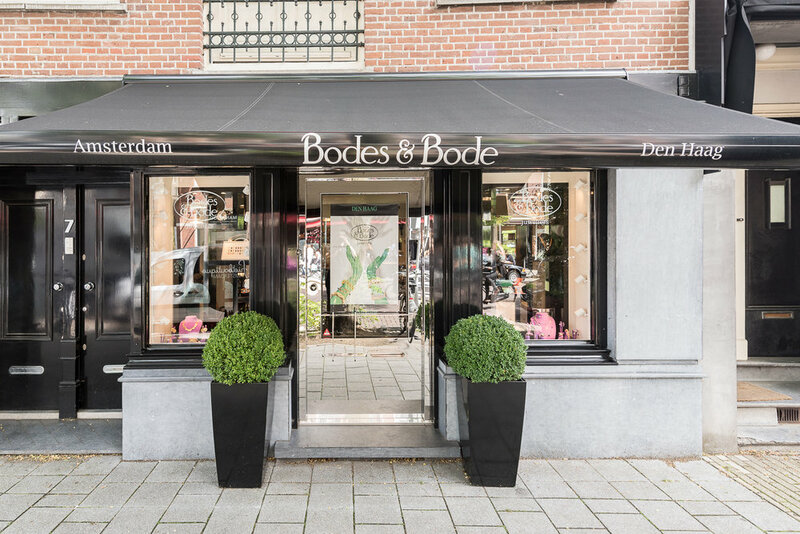 The family business Bodes & Bode is originally a jeweller from The Hague who also presents a beautiful collection from renowned houses like Oromaia, CADA, Isabelle Fa, K di Kuore, Monies and Herve van der Straeten in Amsterdam. The unique colour stones are really special and we grind and set them in special models. You also find a wide choice in vintage jewellery with us, among others from Van Cleef & Arpels, Cartier, Pomatello, Tiffany, Boucheron, Seaman Schepps and Bulgari.